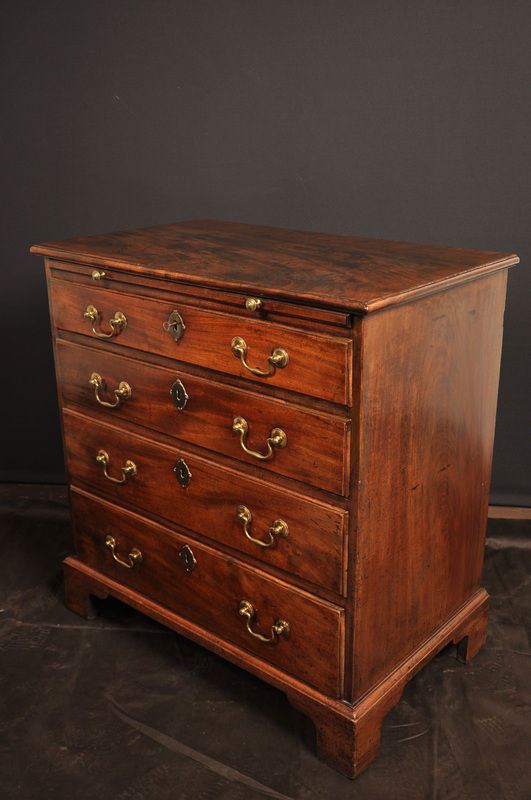 A wonderful small 18th century chest of drawers with brushing slide retaining its original handles and locks, of superb colour and patina. 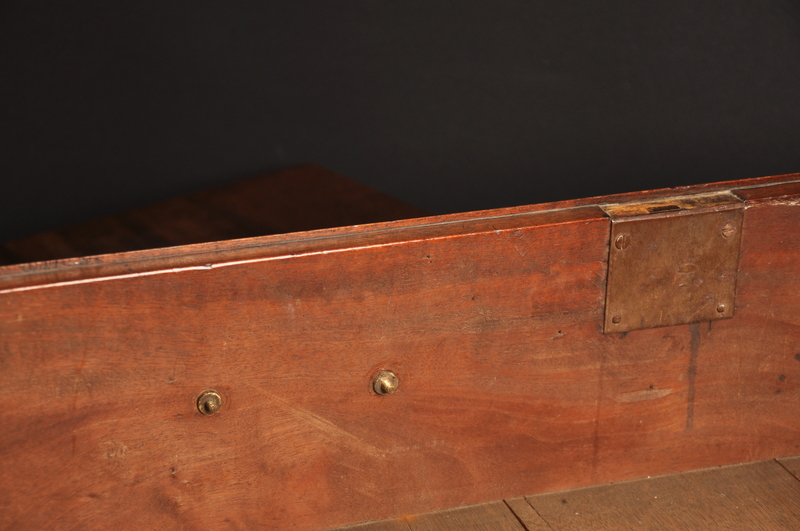 Oak lined and Standing on its original bracket feet. 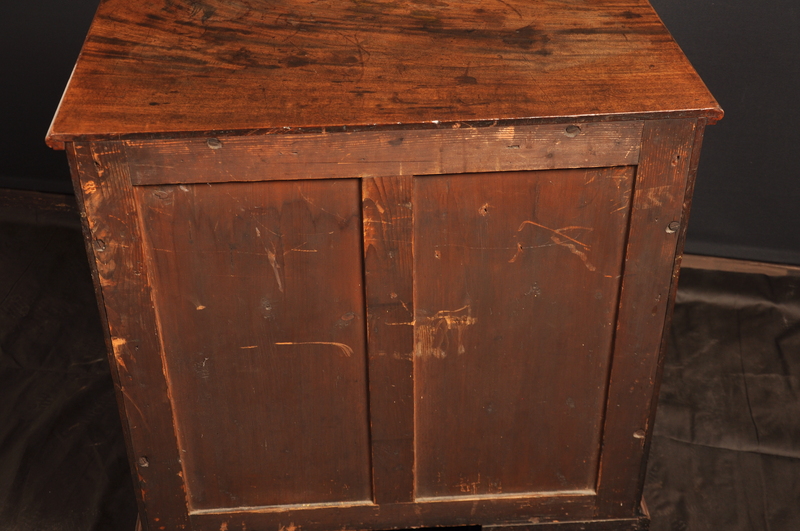 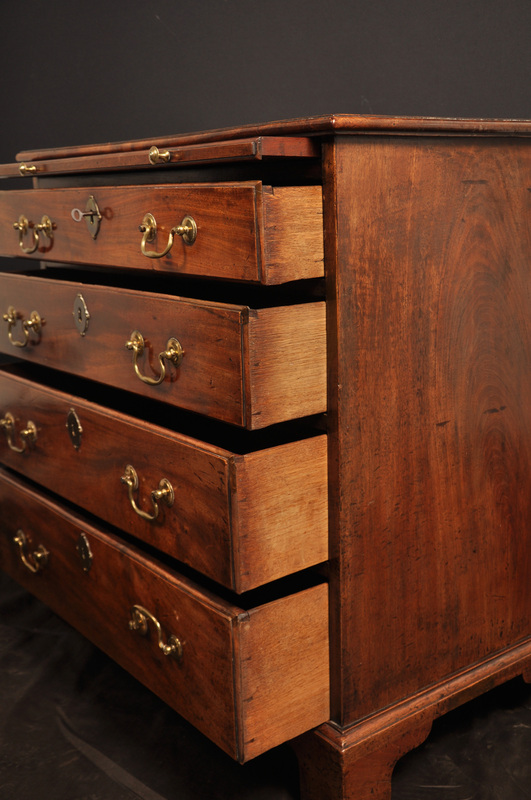 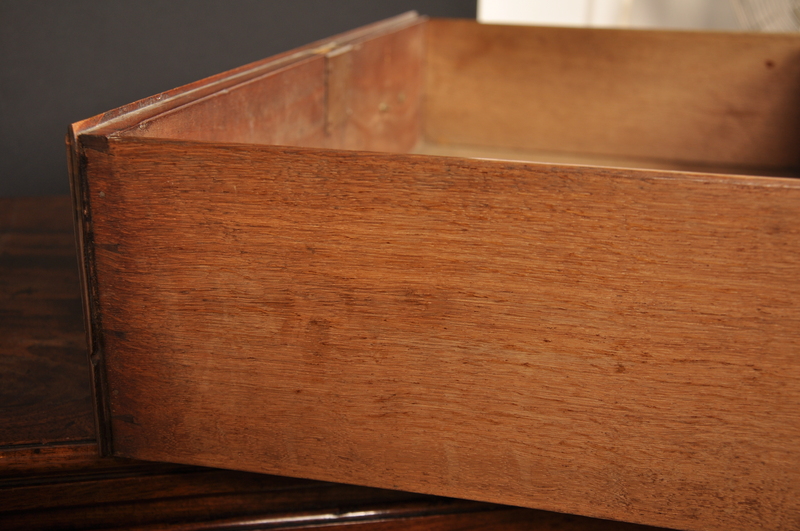 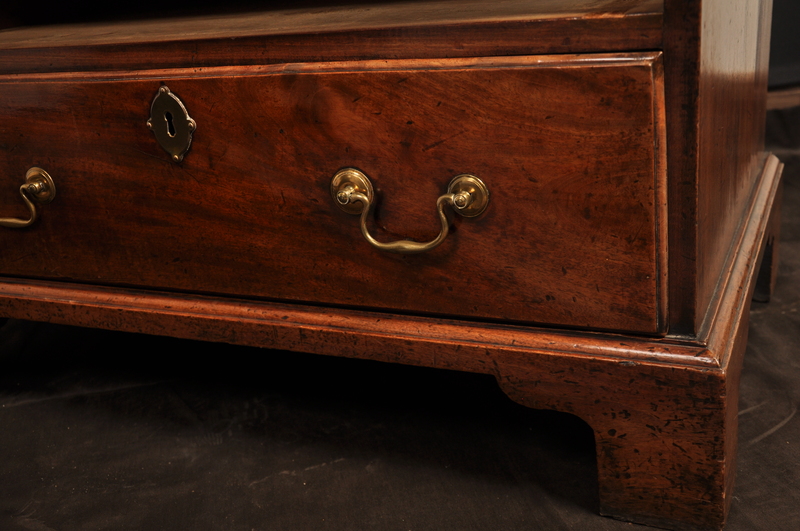 It is worth noting the quality and condition of the chest which extends to the back that is nicely paneled.